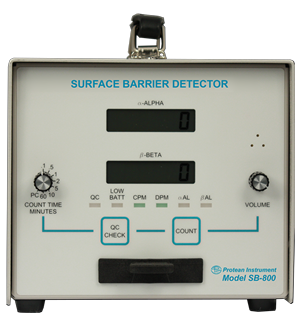 The Model SB-800 surface Barrier Detector's solid state PIPS™ detector facilitates efficient and cost-effective, simultaneous alpha and beta sample counting for air filters, smears, and swipes. This instrument meets the newer Electric Power Research Institute (EPRI) guideline for detecting a few disintegrations per minute of alpha amidst several hundred-thousand disintegrations per minute beta background. All data are automatically logged and easily retrievable via a USB connection. 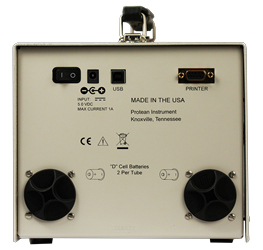 The light weight and battery operability afford convenient use in the field. 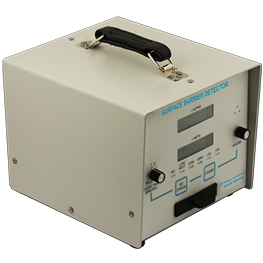 With the optional detector shield, the Model SB-800 can be used virtually anywhere. The instrument comes with PC control software that allows the user to set all parameters, view QC check settings, change alpha and beta window and threshold values, perform MDA (Minimum Detectable Activity), and retrieve the sample data save to the logging memory. PIPS™ is a registered trademark of Canberra Industries, Inc.